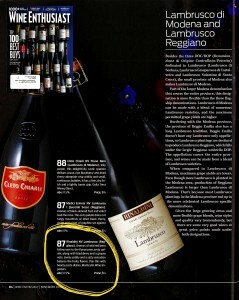 Lambrusco is a grape, or rather a family of grape varieties grouped under the Lambrusco category. Once loved and then scorned, today’s top Lambruscos are a far cry from the industrially made, cloyingly sweet versions that flooded U.S. shelves in the 1970s and ’80s. 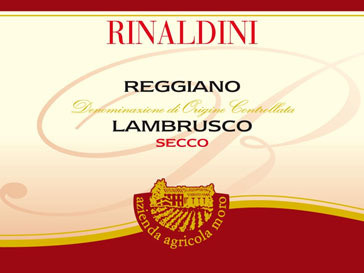 Rinaldini Lambrusco Reggiano is deep ruby red with purple hues. Nice red foam. 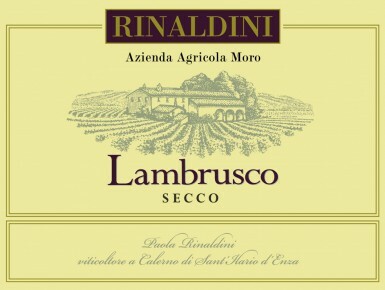 On the nose, it is a typical lambrusco with aromas of red fruit and prunes. Finishes long and clean with very good juicy cut. Enjoy throughout the whole meal, especially with cold cuts and pasta dishes. During the summer months it is a great chilled aperitif. Harvest is during the frist half of October. Temperature controlled fermentation 'in rosso' on the skins.